Witness how humanity can change the course of history forever in the documentary "Children of the Civil Rights" showing Saturday, Sept. 26 at the St. Cloud Public Library at 10:00 a.m. Discussion afterwards with the film's creator. No one knew a group of children in Oklahoma City were heroes; not even the children themselves. 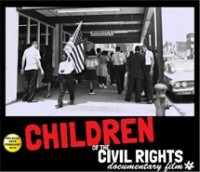 The "Children of the Civil Rights" documentary film tells their story. For six years, Oklahoma City kids conducted sit-ins with their youth adviser, Clara Luper. They started in 1958, a year and a half before the Greensboro, N.C. sit-ins. The group demonstrated until 1964 when the Civil Rights Act took place. Their peaceful protests did not garner a lot of national attention, but they led to the desegregation of just about every restaurant in Oklahoma City before the Civil Rights Act became law.